Some call it the giant orange blob. James Angus’s bright tangerine orange sculpture- ‘Geo Face Distributor’ greets you outside the National Portrait Gallery entrance. In front of 'Questacon' are these sculptures designed by Ken Cato. 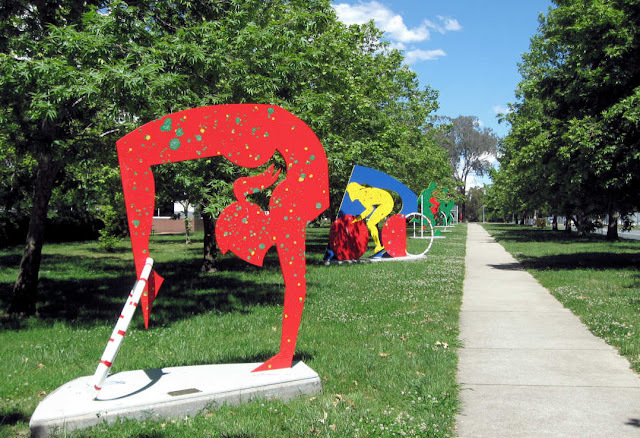 They were originally commissioned for Melbourne's 1989 Olympic Games bid. 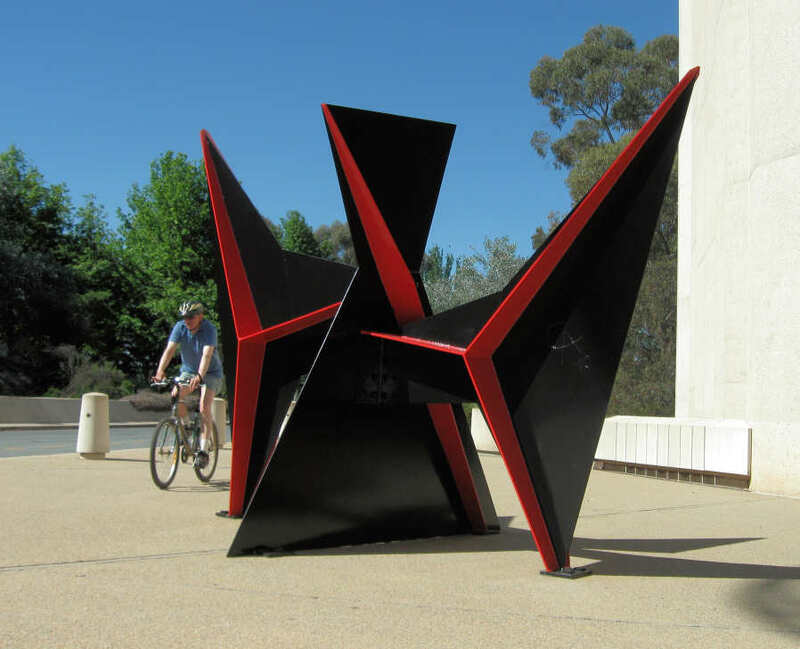 Clement Meadmore - 'Viriginia' (above) - the rust-red finish is intentional. 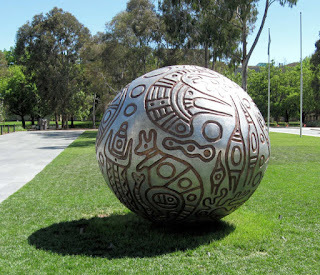 It's located in the National Gallery Sculpture Garden which is between Lake Burley Griffin and the gallery building. 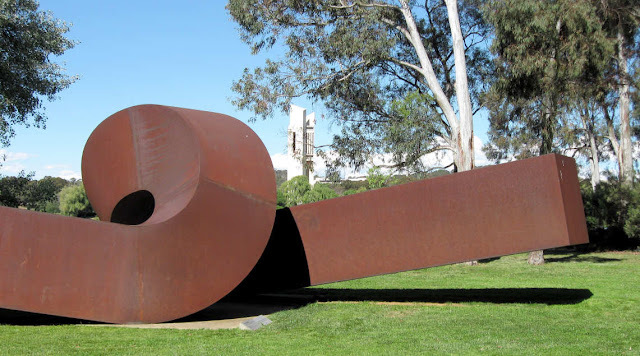 The sculpture weighs more than 8 tonnes and was fabricated in a specialty factory in North Haven, Connecticut USA. Really enjoying your blog and photos. 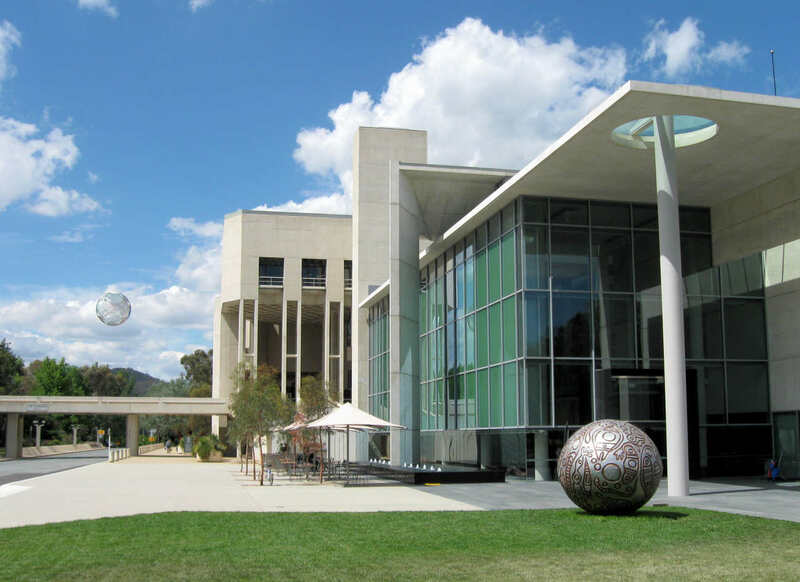 Planning to follow up some of your walks. Thank you. 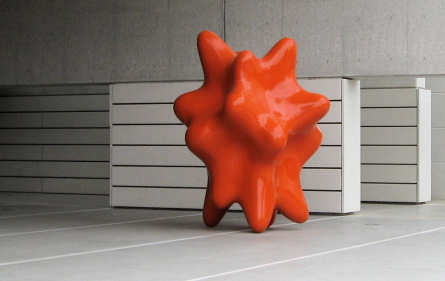 - a blob- but it's simple and the colour vibrant. Not in my back-yard though!